With over 2000 students using our fleet of over 55 buses, the transport service is one of the most sought after facilities at campus. Plying around a radius of 15kms, students’ commute is safe, reliable and prompt. This year, two new routes have been introduced to ply to Anna Nagar and Adyar, with limited stops along the way. Additionally, the fleet of buses are often used for students’ field trips in and around Chennai. All buses are 40 seaters and have been installed with Speed Governor, CCTV camera and a GPS tracker that ensures safety and provides for live tracking at the Transportation Office. All the buses have conductors to assist children during the journey. The buses comply with the norms and regulations as laid down by the Regional Transport Office with a Fitness Certificate renewed periodically. Apart from the RTO, the buses are also inspected by the CBSE Education Board in the presence of the District Sub Collector. Daily care and basic maintenance of the buses are undertaken at a designated and exclusive area within the Omega campus that is staffed by qualified Mechanics. A student may opt for the school transport facility only at the beginning of the academic year, through an application form available at the Transportation Office. Mid-year admissions are not accepted. 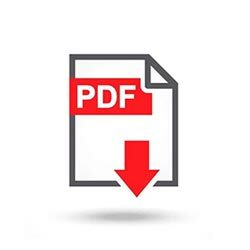 Parents are requested to download and print the Transport Policy published alongside this page. The signed Policy must be submitted at the Transportation Office at the school campus after paying the transportation fees.